Thank you to the parents who attended the bug club workshops to hear about our exciting new reading programme. We had approximately 240 parents attend the workshops. 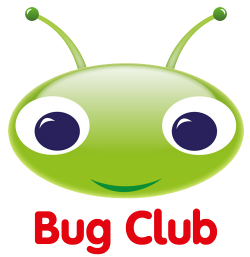 Bug club usernames and passwords will be sent home on Monday. If you have any problems with logging in or do not have internet access at home, please let your child's class teacher know. Once again thank you to all the parents who came and we hope you enjoy bug club. Reading with Your Child: It is important to remember the impact you have when reading with your child: when a child is 5 years old it has five times the impact at home than it has at school, and when a child is 11, the impact is equal. This shows how vital it is that we have a home / school partnership for reading. We look forward to hearing your feedback.